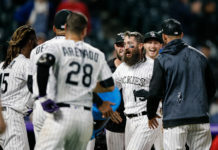 In an effort to boost their middling offense, the Colorado Rockies recalled outfielder Mike Tauchman from Triple-A Albuquerque Tuesday afternoon. The club optioned infielder Daniel Castro to make room for Tauchman. 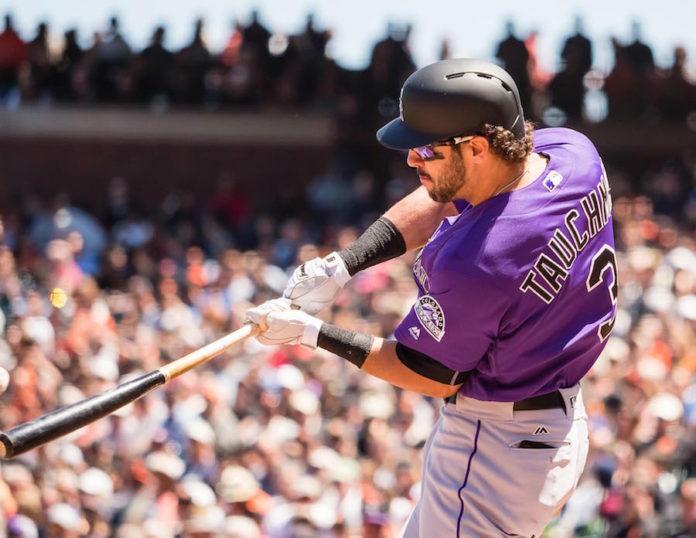 This will be Tauchman’s second stint with the Rockies this season. In 32 plate appearances in 2017, Tauchman registered six hits, drove in two runs and stole a base. Tauchman finished spring training this season in the major leagues but failed to produce over the first month of the season before being optioned to Albuquerque on April 22. He regained his stroke with the Isotopes and is currently batting a robust .385 with nine home runs and 35 RBIs. Tauchman’s call-up comes hours after he was named the Pacific Coast League Player of the Month. During May, Tauchman led the PCL with 44 hits, 31 runs scored and 81 total bases. The 27-year old outfield prospect hit .379, owned a slugging percentage of .698 and drove in 24 runs, while helping the Isotopes go 19-11. Tauchman played a large role in Albuquerque’s success over the stretch, recording 12 multi-hit games in the month of May. 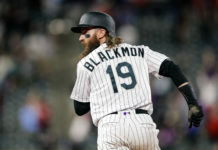 The Bradley University (Ill.) alum also recorded his first professional grand slam on May 6 in a 14-12 victory over El Paso and hit a go-ahead home run in the eighth inning to help the Isotopes defeat Fresno, 5-4 on May 31. Tauchman has experience playing all three positions in the outfield, though his primary position this season with Albuquerque has been left field. Castro struggled in his brief time with the Rockies this season. After being called up in May in the wake of D.J. Lemahieu’s injury, Castro hit .174 in 46 at-bats.